We all know very well that the big battle in the world of smartphones focuses on what the tech giant Apple and the South Korean giant Samsung can present and the sales they can do. However, now according to the latest reports, the South Korean giant Samsung’s Galaxy S9 Plus beats iPhone X to become best selling smartphone. The big battle in the world of smartphones focuses on what the tech giant Apple and the South Korean giant Samsung can present and the sales they can do. With their top smartphones on the market, consumers can choose the brand of their choice. 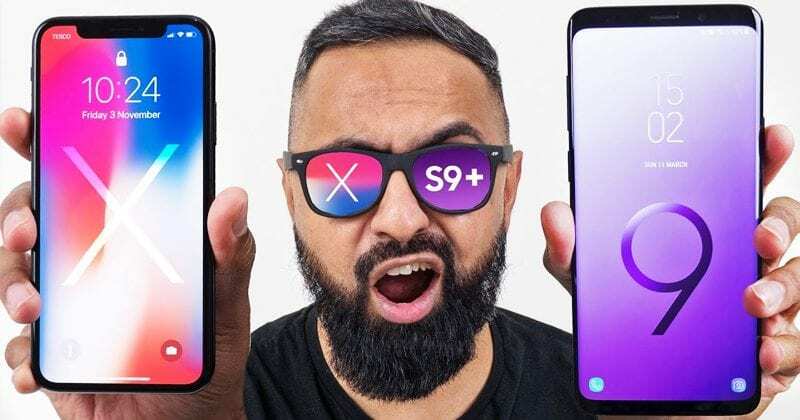 After seeing us take over the leadership of Apple and iPhone X in the first quarter of 2019, the scenario changed in April and was dominated by Samsung smartphones with the Galaxy S9 Plus taking the lead. 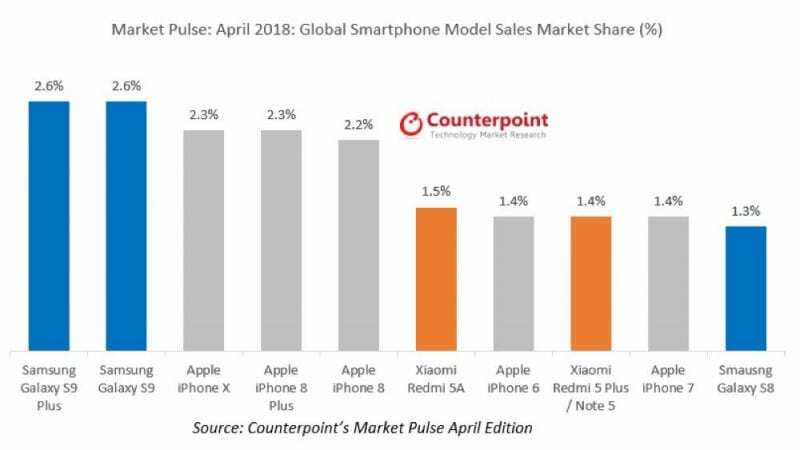 The latest data from the smartphone market, still referring to April 2019, show that the South Korean giant Samsung has regained control of sales and now its smartphones are able to sell more than any other manufacturer. According to Counterpoint, the South Korean giant Samsung’s leadership is total, putting its top 2 smartphones in the top of the podium on the sales chart. The Samsung Galaxy S9 and Galaxy S9 Plus have a market share of 2.6% each for this period. The tech giant Apple then comes out in the next 3 places with the iPhone X, iPhone 8 Plus and iPhone 8 to have 2.3% (in the first 2 models) and 2.2% respectively. It is also interesting to see the progress of Xiaomi that gets the 6th and 8th position of this table with the Redmi 5A and Redmi 5 Plus/Note 5. The table is closed with the iPhone 7 and Galaxy S8. While the analysts highlight the still very interesting features of the iPhone 6, iPhone 7 and Galaxy S8, smartphones with more than 1 year and still have a strong position in the market. It is still relevant to the position of Apple, who alone can keep in mind 5 models of their smartphones, thus dominated half of this table. The list now shows that they are still the top selling smartphones. The rivalry is back to the point, with Samsung regaining the top spot, which it believes to be its rightful choice.